This past weekend we visited my parents for a nice weekend of labor day relaxation and conversation. It was good to be out in the boonies away from the hustle of noise of city life and we got to enjoy a cookout, good beer, great company, and played some great games. Every time we’re there, one of the highlights of the visit is to see what my dad is up to. He’s a metalworking artist who tends to be rather prolific, so we’re always eager to see what he’s made since our last visit. This time, however, the highlight of our trip was the old tools. Two of my favorite men on the planet. 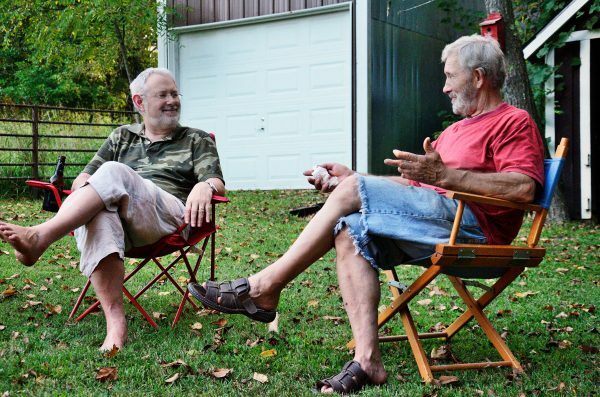 My husband Gary on the left, and my father Jim on the right. We were sitting around the fire ring enjoying a cold beer when our daughter Lanie stole the camera and took this picture. You see, my dad started collecting antique tools when he was in his late 50’s and being somewhat of an obsessive sort (where do I get it from? ), he really got into it. In fact, it was restoring and making “user made” tools that got him started with the metalworking. He’s still into it and this month will be attending a national convention. So he’s currently busy preparing tools to take. That meant that we had a great opportunity to look over his tools and touch and inspect and enjoy them. Because you see, antique tools are a sensory and visual work of art. And when I saw that he had some jeweler’s tools I couldn’t help myself. “Show me tools that women like me would relate to,” I said. And he did. The minute I saw them, I knew I had to take pictures for all of you. Because these are just that cool. I just HAD to share with you all! I tried to give the country of origin, manufacturer, and date of the tools pictured. But it’s not always possible to exactly date a tool. You see, designs stayed pretty much the same for many, many years. Sometimes you can find a patent year, but that’s mostly on the later tools. Sometimes you have to be content to know the latest date that something could have been manufactured because of dramatic changes in the manufacturing technology, the supply of materials, or of new inventions. Most of these tools pictured here were made prior to 1940 and we know that because they have Brazilian Rosewood handles. Tropical hardwoods like Rosewood were no longer used in tool handles after that date. A word about ivory. Ivory is no longer legal to be imported into the United States and elephant ivory must be documented to be over 100 years old to be imported. However, these antiques are legally freely bought and sold within the U.S. You’d have a hard time selling them overseas, though! One thing that strikes me as fascinating about old tools is how they were made with decorations and elegance that were not necessary for the function of the tool. I mean who really needs ivory inlays in a drill handle? But it does tell you how important and cherished these tools were to the people who made and used them. They were tools of a livlihood, meant to last a lifetime. And because of that, most tools out there are “used to death”. It’s really quite rare to find complete sets and undamaged, unworn tools. Luckily, there is a very active antique tool collectors’ trade and these gems are being collected and loved once again. Okay, on with the tools! Antique diamond tipped glass cutters. All are American except the brass one, it’s French. 1940’s, though the French one could be a lot earlier. Here are a variety of antique measuring devices. The big wheel is an English user made (not by a tool company) traveller. It’s used to mark linear distance. There are three folding elephant ivory rules, all American, the large one is by Stanley Tool and the smaller ones are by Stephens. Notice the little steel tape measure. It’s called a Rapid Rule and was made by Farrand, an American tool company that was later bought out by Stanley. Nowadays we have multi-tools and think we’re so smart. It used to be that every house, tool drawer, and sewing kit had what was called a “Tool Handle”. Here are some tool handles, each containing a variety of tool tips such as screwdrivers, drills, awls, picks, files, etc. Some of these are American, some English and the woods are rosewood or boxwood, and the dark one in the center is actually made from water buffalo horn. (Cebu!!) The one on the lower right is a spring framed nickel-plated multi-tool with a hoof pick, button hook, awl, corkscrew, and gimlet. A gimlet is a screw-tipped tool that’s used to start the hole for a screw. 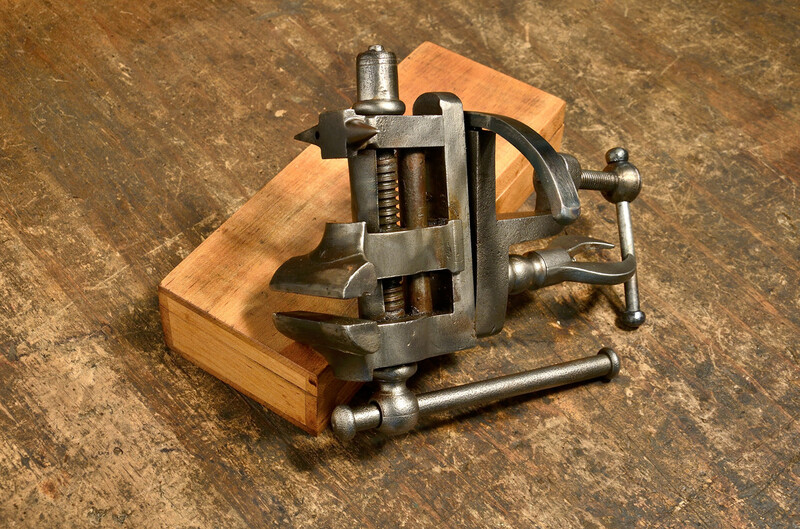 Here’s an English hand vise with an English Oak handle. From the 1920’s. You would use this to grip onto something so you could work on it. This well-preserved set is pretty much the way it would have looked straight from the store. This 1920’s Clark screwdriver set, in the original box, has interchangeable screwdriver bits. By the way, notice how all the tips are flat…there are no Phillips bits. That’s because the Phillips screwdriver didn’t come out until 1936. Everyone needs a little oil to get rid of the squeaks. Here are a variety of oil cans and gun or sewing machine oilers. The big long-spouted one is English from the 1930’s. The flat one in the middle is a bicycle oiler from Britain. The green ones (Singer and Hoover) are more modern, could even be as late as the 1960’s. Rosewood handled leather tools for stitching, marking, burnishing, making channels, etc. Made by C.S. Osborne and Gomph, all are Americans, pre 1940. These are antique piano maker’s tools. The little tools to the left are felt picks. The two wooden handled things at the top are called piano tuner’s hammers. They’re used to turn the pegs that tune the piano strings. The long thing with a knob is a piano tuner’s screwdriver. It allows the tuner to reach down into tight spots to turn a screw. The cool piece here, though, is a ivory drum bow drill with bow by Hammacher Schlemmer from about 1920. To use a bow drill, wrap the leather of the bow around the drum of the drill. Then move the bow back and forth like a violin bow. That makes the drum of the drill turn and consequently the drill bit turn. Here’s a bench mounted rotating jeweler’s vice. Do you see the cute little anvil on it? I’ve got it lying on its side here, it was hard to photograph. This is French and dates from the late 1800’s. This one is a real treat. It’s a watchmaker’s staking tool set and it’s complete, which you can imagine is rather rare with all those little parts to get lost. And a lot of them have lost their dome, too, but this one is original. What is a staking set? Well, watch parts are really tiny and all those little gears and wheels and pins need to be put together very precisely…this is the tool you use. This one is American, likely 1920 or before. Here’s another view of the staking tool set. Each of those tall spikes has a different tip on it and fits into the top of the frame. Notice how the frame itself has a rotating platform, with a whole range of hole sizes. Also, the small pins fit into the largest hole in the platform giving a variety of ways to grip small parts and hold things in place. 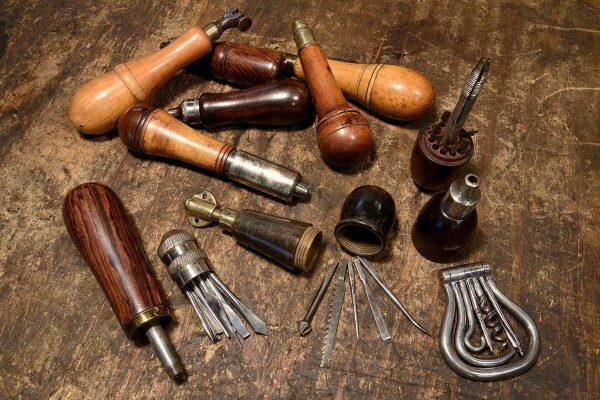 Here are some antique jeweler’s tools that you might own modern-day equivalents of. Note the ivory-handled screwdriver in the center, with a couple of other small screwdrivers. There’s a double-sided small jeweler’s saw. And a small rosewood handled wax stamp. AT the top is an ornate Whitney jeweler’s drill from the 1920’s. 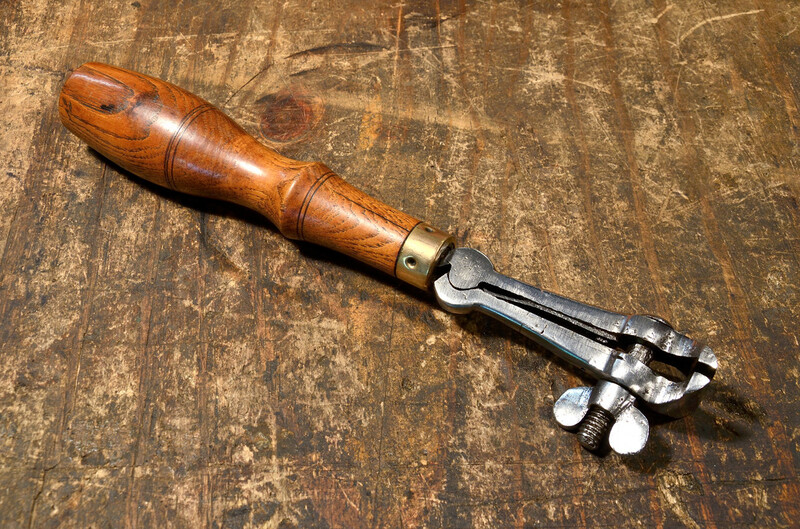 And on the left is another drill, this one is called an Archimedes Drill and has a rosewood handle with ivory inlay. And finally here’s the scene that I figured most of us would relate to as jewelry makers ourselves. This cherry wood set holds a Stephens automatic set jewelry vise, a cute little jeweler’s anvil, and a jeweler’s block. Note the jeweler’s hammers and the chasing hammer. At the bottom is a small brass Archimedes drill from France and a brass framed jeweler’s saw from Europe. I am in love with those little hammers. They’re just so cute! Those are fabulous, Ginger! I love antique tools also and jewelers tools are, of course, special. My mothers eye doctor collects all sorts of vintage items related to his practice; since I take her to all her appointments I get to pore over everything while she has her appt. One day at a flea market I came across a vintage cobalt blue ‘eye cup’. I thought it was cool and the price was right so I got it for his collection. Fun stuff! My great grandmother had a couple of those eye cups, and she used them too! People who have collections are always so easy to buy for. I’ll bet that is a fascinating collection. I know so little about “eye doctoring” and I’ll bet there are some great items. to learn about. What a wonderful collection. Thank you and your dad for sharing these. They brought a tear to my hubby’s eye as they reminded him of his father. Very fond memories. Awesome. It is awesome that we can look at these things and have a sense of connection to the past and the people in it. Really kind of sad when we don’t value nice things anymore. Nobody’s going to be shedding a tear in the future over an iphone collection, LOL. Ginger these are really interesting. Beautiful photography too. 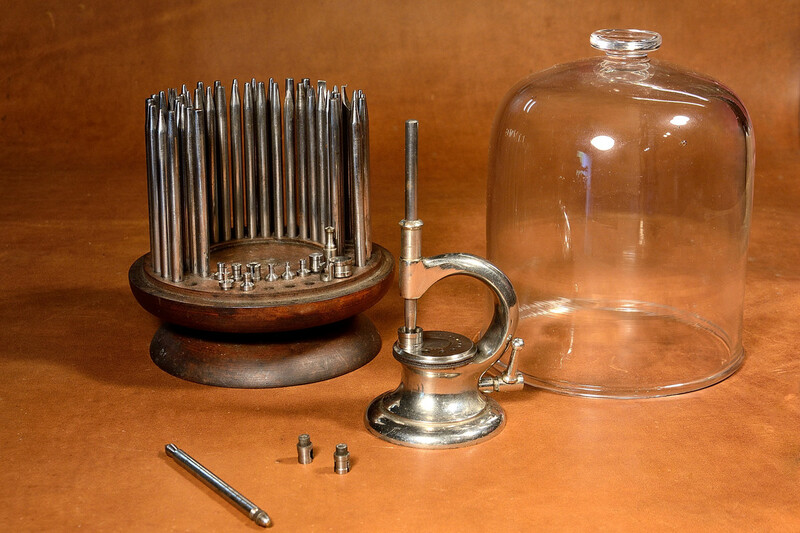 I especially like the watchmakers tools with the glass dome and for some reason I like all those oil cans~ it’s all very cool! Thank you for a peek into your Dad’s collection. I tried to pick things that we would all find interesting because of our shared hobbies. The oil cans were funny…he had at least three times that many and I just picked a bunch at random, LOL! What a fun article, and the photos are great! I have a few bookbinder’s tools that I’ve collected over the years for use in my book arts work. The worn wooden handles fit my hand perfectly, and I reflect on the history of these lovely pieces that have been passed from one maker to another down the years. Sometimes when I look at these old tools I can see the owner’s name stamped or carved on them and it makes me wonder what their life was like. I think the stories these tools hold would be incredible if we just knew them. But then isn’t that why we love the history of these, too? 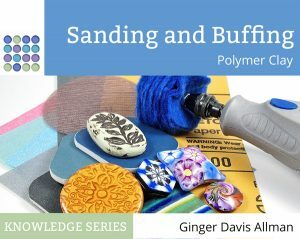 I wouldn’t know a bookbinder’s tool if I saw one! I’ll have to ask my dad about them…he might even have them too! What a timely post for me as my father collected old tools for years in New England. We had an attic full of them when he was diagnosed with cancer over 30 years ago. My mother set him to the task of pricing them and they eventually sold them all. He was in the antique buying and restoring and reselling business for years and loved to talk about the different used. There is an illustrated book about early American tools by Eric Sloane that he really liked to refer to. He was more into wooden and iron sorts of tools, mostly early American. What a beautiful collection your father has! Your dad sounds like he was quite a phenomenal person. One of those really great people to have had the pleasure to know. And it sounds like he and my dad would have really enjoyed one another, too. What a gorgeous post. A treat for the eye, mind and soul. Thank you for taking the pictures and taking the time. I just knew when I saw these tools that I had to take the pictures for you guys. I had a feeling my fellow creative people would find them intriguing. I’m glad I was right! This is a truly amazing collection! What a treat to get to see these! As a metalsmith of just a few years I haven’t had the opportunity to see a lot of antique jeweler’s tools. The ornate hand drill and brass framed jeweler’s saw are my favorites. Thanks for posting this! Oh Michele, you would love it in his workshop. Whether the works are large or small, I think metalsmiths share many of the same techniques and you’d completely recognize his process…and he yours as well! Thanks, Ginger. People like you, who take the time and effort to share, are the reason the internet is so wonderful. Aw, thanks Karen. And it’s really awesome to know it’s appreciated, too. Wow – these are beautiful. Thanks for sharing.They must be worth a fortune:) I have to admit I am a tool junkie – I just love them. I can drool over the pages of jewellery catalogues. I also have tools in my stash I haven’t used yet. These are just wonderful – so much love and attention for detail. Well I’ll have to say that my dad is a tool junkie, too! Yes, some of the old tools are worth a fair amount, but others are actually quite common and not all that valuable at all. And of course it’s all relative. We’re not talking THAT much money! He could be collecting sports cars or something…now that’s money! Ginger, thank you for sharing. I think my grandfather had a couple of these tools which are long gone from the family. Very nice photography too. Thanks, Ron. I had a hard time with the photographs. Uneven light and I couldn’t get far enough back to get a good angle. Oh well. That’s what software is for. Hello, Antique Roadshow! What a fabulous collection! Heh. Well, I don’t think they’re worth that much. But it is a fun collection! What a beautiful, wonderful collection! Thanks for sharing! I’m glad you enjoyed it. It was really fun to go through each thing and find out how it’s used. Hello, My husband & I spent a good part of today @ your parents’ place. We got to see all these tools that you posted. I have to agree with you, I love the little jewelry hammers. I also really like the fly press….I’d love to have one of those. My husband is also a blacksmith & that is how he met your dad. Your parents are very nice people. They are very proud of their children & grandchildren. Thanks for sharing. P./s. Your mom gave me your business card & encouraged me to take a look @ this site. I’m glad I did. Hi Ginger, superb collection of tools. Happened to find your site as I and my brother have inheirited our great great grand father’s collection of jewlers tools and want to research. Took some to a jewler to identify which he did except one. 2 important points dispite out tools being at least 150 years old,jewlers still use them. also older tools tend to be better quality than their modern counterparts. I came across your website whille trying to identify some small old tools my grandfather had. I think they may be jewelers tools but can’t seem to find anything like them, especially a small iron block with an engraved symbol on it. I would love to send a photo of them for you to look at to see if anything looks familiar if thats ok. I was apprenticing under some master jewelers for about a year and a half and I’m now finally a “jeweler”. I am trying to find some vintage tools to use and/or have nearby to inspire my future pieces. Are you interested in selling any of your vintage jeweler’s tools? I don’t own the tools. I merely shared photos of them. Thank you for posting this collection, its a pleasure and a relief that there are kinsmen (at least one) that I can identify with…”whew”…thanks again for giving us the “peek” and the historical info…what a treat!